Academy of Prosthodontics (AP) 101th Annual Meeting is organized by Academy of Prosthodontics (AP) and would be held during May 08 - 11, 2019 at Banff Springs Hotel, Banff, Alberta, Canada. Additional details will be posted as soon as they are available. Neurosurgical Society of America (NSA) 2019 Annual Meeting is organized by Neurosurgical Society of America (NSA) and will be held during Jun 16 - 19, 2019 at Banff Springs Hotel, Banff, Alberta, Canada. Additional details will be posted as soon as they are available. CBT Canada supratentorial medicine - CBT Banff is organized by Cognitive Behavior Therapy (CBT) Canada and will be held from Jul 08 - 10, 2019 at The Rimrock Resort Hotel, Banff, Alberta, Canada. 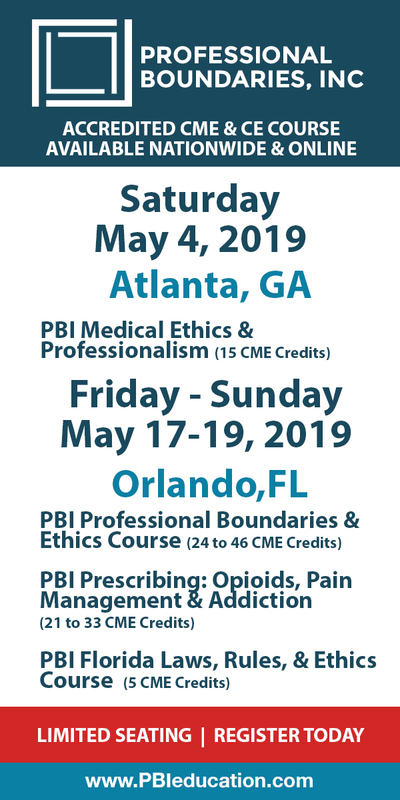 This CME Conference has been approved for a maximum of 36.0 ​Mainpro+ ​credits. Additional details will be posted as soon as they are available. 3 Day Intensive: DBT Made Simple is organized by Jack Hirose & Associates Inc and will be held from Jul 08 - 10, 2019 at Banff Park Lodge Resort Hotel & Conference Centre, Banff, Alberta, Canada. This CME Conference has been approved for a maximum of 5.5 or 6 credits per day unless otherwise specified. Who Should Attend Clinical Professionals: All mental health professionals including, but not limited to Clinical Counsellors, Psychologists, Psychotherapists, Social Workers, Nurses, Occupational Therapists, Hospice and Palliative Care Workers, Youth Workers, Mental Health Workers, Addiction Specialists, Marital & Family Therapists, Speech Language Pathologists, Vocational Rehabilitation Consultants and all professionals looking to enhance their therapeutic skills. Workshop Description In this intensive 3-day workshop, DBT will be de-mystified and you will learn how to use this highly effective therapy to better treat your clients with problems managing emotions. Sheri’s unique workshops emphasize the flexibility of DBT and the benefits of using this therapy to treat disorders other than borderline personality disorder, including bipolar disorder, depression, anxiety disorders, eating disorders, and concurrent substance use; as well as other difficulties clients experience such as problems with self-esteem, anger, and grief. Through lecture, experiential exercises, and case consultation you will explore the four modules of DBT: Core Mindfulness, Emotion Regulation, Distress Tolerance and Interpersonal Effectiveness. Explore tools and strategies to improve the therapeutic relationship and reduce feelings of ineffectiveness and burn-out. Viewing video-tapes of Sheri’s real-life sessions will provide you with a better understanding of the flow of individual sessions as well as how to balance accepting clients where they are with pushing them to make positive changes. Bringing her years of clinical experience in both private practice and as part of a community hospital; and working with both individuals and DBT-informed groups, Sheri’s practical, inspiring, and highly praised workshop will give you evidence-based skills that can be immediately put into practice. Learning Objectives: • Learn more about the origins of DBT in order to more fully understand it, including a brief look at DBT versus CBT; the traditional DBT model; and research showing that adaptations of DBT can be very effective. • Describe the biosocial theory and how this applies to BPD and other disorders of emotion dysregulation. • Discuss behavior theory and the importance of these concepts to building stronger relationships with clients, and to assist clients in making behavioural changes. • Demonstrate a variety of mindfulness techniques to make mindfulness more understandable and acceptable to clients. • Explain the basics of dialectics and some dialectical strategies for the individual session to help get clients unstuck and to build the therapeutic alliance. • Practice the Behavioral Analysis • Reduce therapist burn-out through observing limits and use of skills such as nonjudgmental stance and radical acceptance • Develop a basic understanding of neuroplasticity and how mindfulness relates to this, as well as how you can translate this into skills and use these ideas to help increase client motivation. • Explain skills in the Emotion Regulation module to give clinicians a basic understanding of how to teach these skills to clients to regulate emotions more effectively. • Demonstrate the distress tolerance skills that will help clients survive crisis situations and learn how to not act on urges. • Discuss Interpersonal Effectiveness skills: the importance of increasing and maintaining positive relationships and improving communication. • Discuss how these skills can be helpful in treating a wide array of psychiatric conditions and problems, including major depression, bipolar disorder, anxiety disorders, and problems with anger and self-esteem. UCSF Imaging Update in the Canadian Rockies is organized by The University of California, San Francisco (UCSF) Office of Continuing Medical Education and will be held from Aug 04 - 09, 2019 at Fairmont Banff Springs, Banff, Alberta, Canada. Additional details will be posted as soon as they are available. Clinical Topics in Anesthesia is organized by Northwest Anesthesia Seminars (NWAS) and will be held from Aug 05 - 09, 2019 at The Rimrock Resort Hotel, Banff, Alberta, Canada. 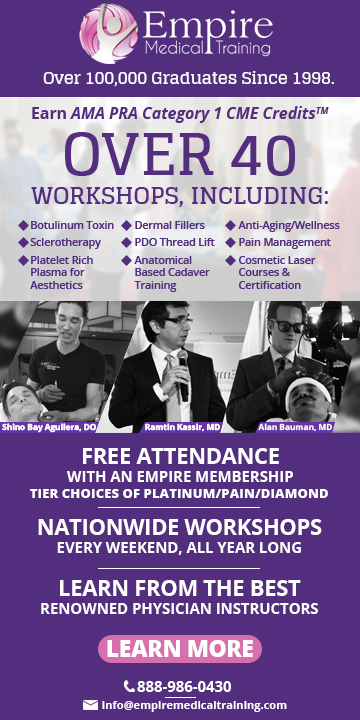 The target audience for this medical event is designed for physicians, certified registered nurse anesthetists, physician assistants, nurse practitioners, registered nurses and other medical care providers who must maintain state-of-the-art knowledge of the specialty or are impacted by it. This CME Conference has been approved for a maximum of 20 AMA PRA Category 1 Credits. Conference Description: Presentations are designed to facilitate the physician, nurse specialist, and other providers maintaining skills of the same kind to review and update knowledge and abilities in one or more of these areas vital to the practicing professional: • Possess the scientific background for clinical practice • Maintain state-of-the-art knowledge of not only the specialty, but also of all additional related disciplines which may impact it • Maintain an up-to-the-minute armamentarium of knowledge and skills for the selection and use of complex equipment, pharmacological agents, and procedures necessary for the provision of quality patient care • Manage self and colleagues to function toward common goals in the clinical setting, the clinical and educational institutions, and the community in which the practice resides • Serve as an expert in matters involving health care delivery; serve as an informed manager of clinical and educational services provided, including the acquisition and distribution of resources necessary in meeting professional goals • Provide assistance with and support of other service providers, departments, institutions, and organizations dependent upon the professional expertise of the practitioner Conference Objectives: • Apply the pertinent physical and behavioral sciences - to include but not be limited to advanced anatomy and physiology, pathophysiology, chemistry, physics, psychology, and social sciences - as they impact and are affected by the planning, delivery, and monitoring of anesthesia and related services inherent in the anesthesia professions. • Explain the selection, dosing considerations with methods of administration, safe use, and contraindications and precautions of presented pharmacological agents through the understanding of their physico-chemical properties, pharmacokinetics and pharmacodynamics, updated uses, and more recently developed additional, related, and similar drugs. • Outline comprehensive management plans for the group of patients discussed, whether related in age, physical status, cultural background, invasive procedure, anesthetic or analgesic requirements, clinical setting, adverse reactions, and/or goals of care. Additional details will be posted as soon as they are available. American Academy of Esthetic Dentistry (AAED) 44th Annual Meeting is organized by American Academy of Esthetic Dentistry (AAED) and will be held from Aug 08 - 10, 2019 at Banff Springs Hotel, Banff, Alberta, Canada. Additional details will be posted as soon as they are available. Internal Medicine for Primary Care: Endo/Nephro/Ortho/Vasc is organized by Medical Education Resources (MER) and will be held from Aug 15 - 18, 2019 at Fairmont Banff Springs, Banff, Alberta, Canada. This CME Conference has been approved for a maximum of 16 Credit Hours. Additional details will be posted as soon as they are available.